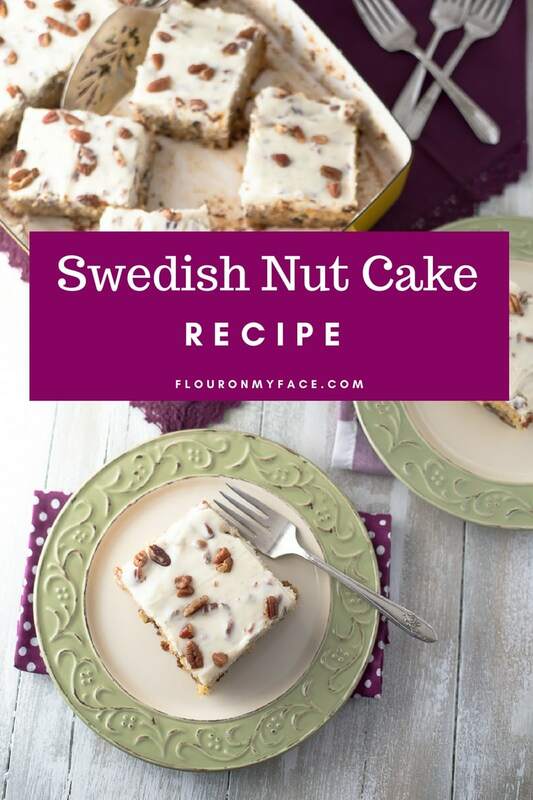 This Swedish Nut Cake recipe is a old vintage recipe I have been hanging on to for a few years. I knew the holiday baking season would be the best time to share it. I am a collector of old vintage recipes. I collect old vintage cook books and recipe binders. Occasionally I hit the mother load and find a very old recipe box stuffed full of old recipes. Some of the vintage recipes are clipped from old magazines. Some are clipped from news papers. Sometimes I get lucky and find an old hand written vintage recipe. 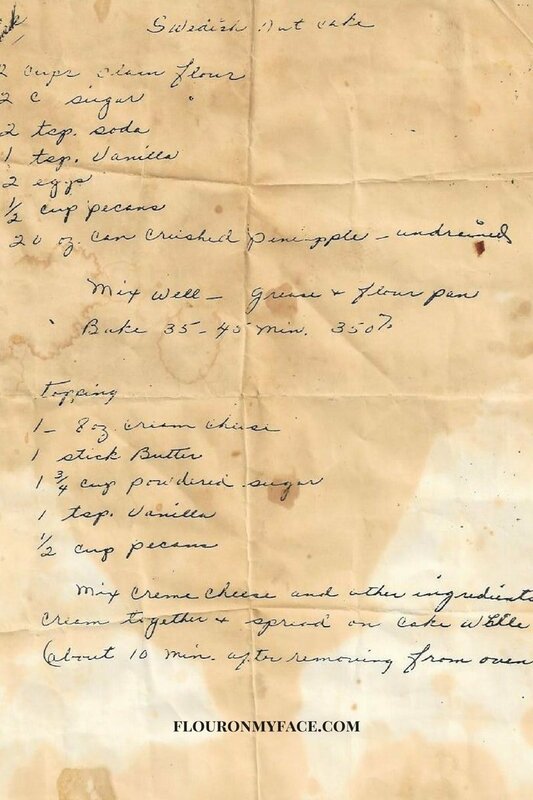 I love when I find old handwritten vintage recipes! While I was trying to do some research to find out how old this Swedish Nut Cake recipe might be I learned a surprising thing. I don’t think this Swedish Nut Cake recipe is an old vintage Swedish cake recipe as I assumed. 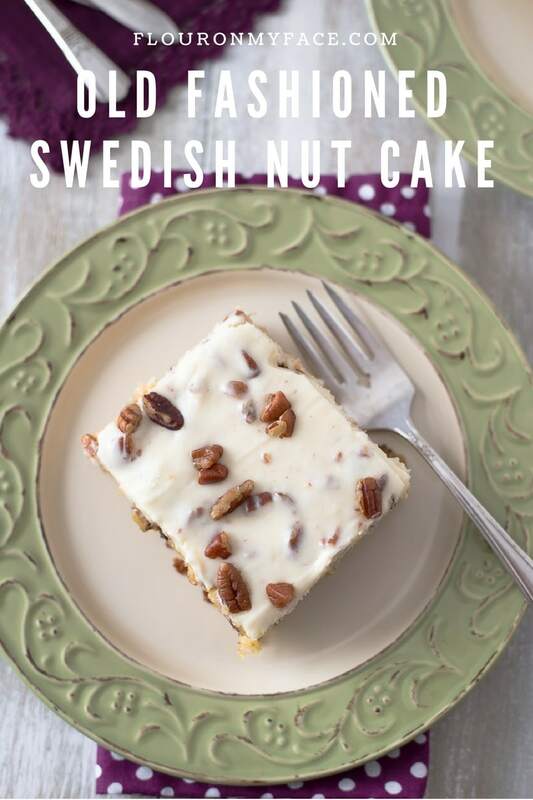 I found the same Swedish Nut Cake recipe called by a couple of other names. 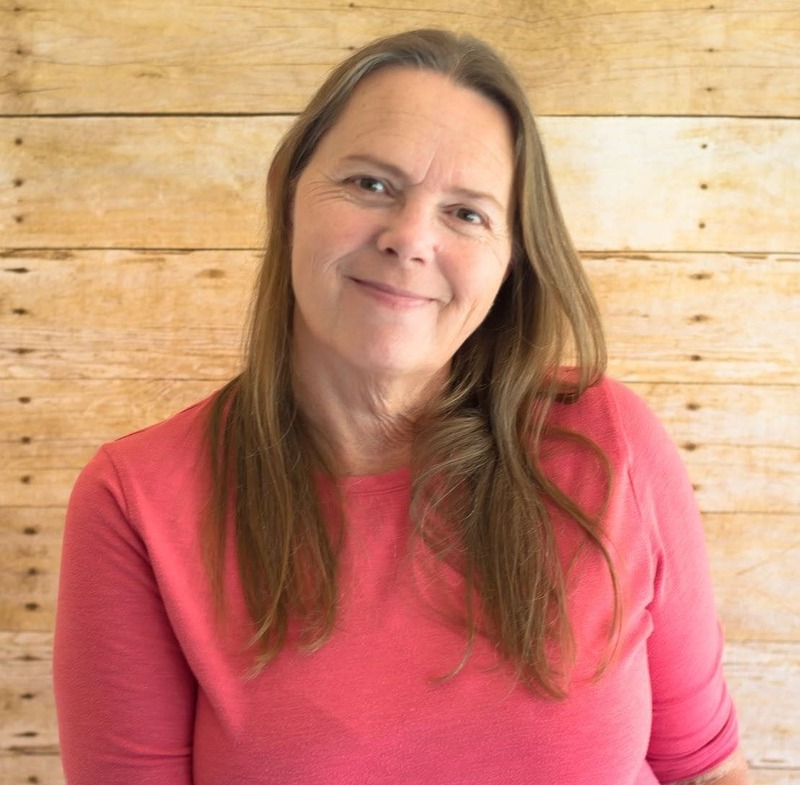 It looks like my old vintage Swedish Nut Cake recipe is also known as Preachers Cake recipe, Pineapple Nut Cake recipe and Hawaiian Wedding cake recipe. No matter what you decide to call this delicious old fashioned sheet cake recipe you should make is as soon as possible!. 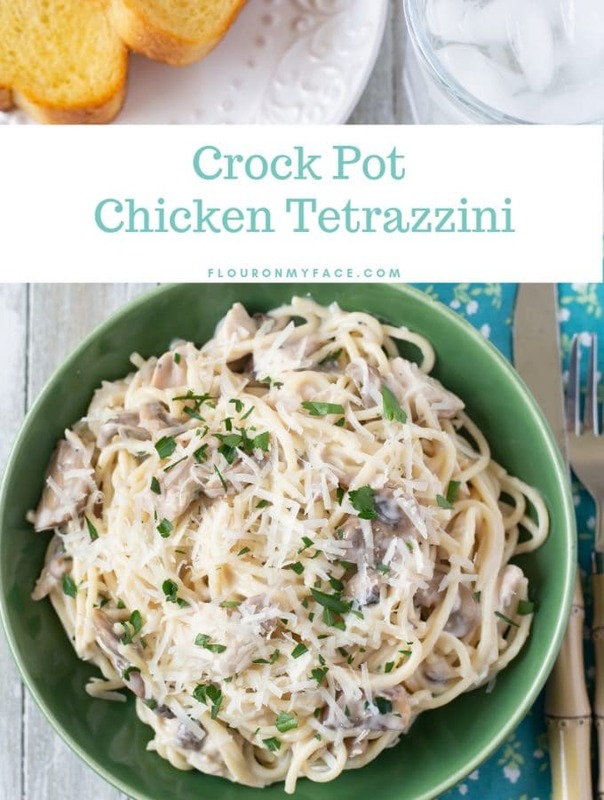 The crushed pineapple makes it moist and tender. 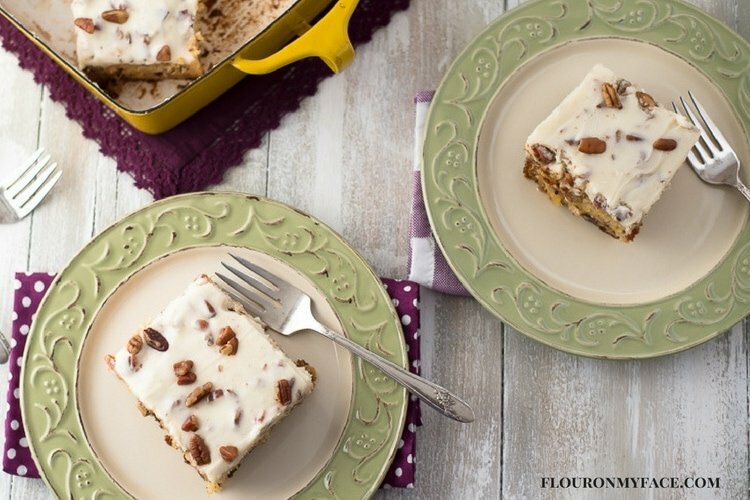 The chopped pecans add a lovely texture to the Swedish Nut Cake and to the Pecan Cream Cheese frosting it is topped with. 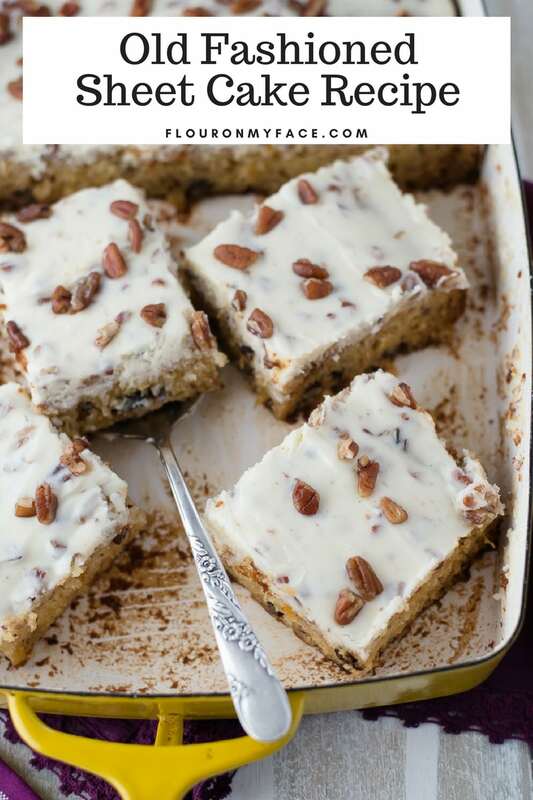 You spread the sweet and nutty homemade Pecan Cream Cheese Frosting on the Swedish Nut Cake while it is still warm and it soaks in to the top layer of the nut cake almost turning the creamy cream cheese frosting into a glaze. Preheat the oven and prepare a 9 x 13 inch baking pan by greasing it with solid shortening or butter and then dusting well with flour. In a large mixing bowl whisk the flour, sugar, baking soda and salt together. Add the eggs, vanilla extract and crushed pineapple to the bowl and mix well. Fold the chopped pecans into the cake batter well. Bake in a preheated 350 F. degrees oven for 25 to 35 minutes or until the center is set. Remove the cake from the oven and allow it to cool for 10 to 15 minutes. Chill cake for an hour before cutting and serving. In a large mixing bowl beat well the softened cream cheese and butter. Next add half the sugar and the vanilla extract and beat well. Scrap the bowl and add the remaining powdered sugar. Beat for 1 minute on high. Fold the chopped pecans into the frosting. Set aside until the cake is ready to be frosted. 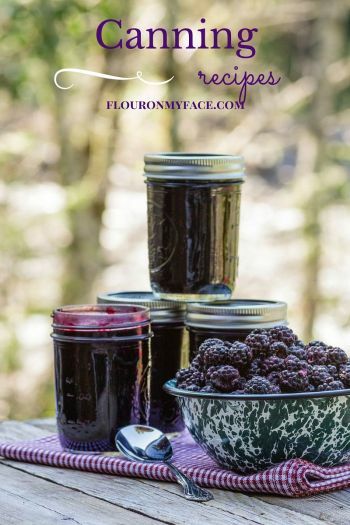 For more Vintage recipes check out my Vintage recipe category for all the vintage recipes I have shared. 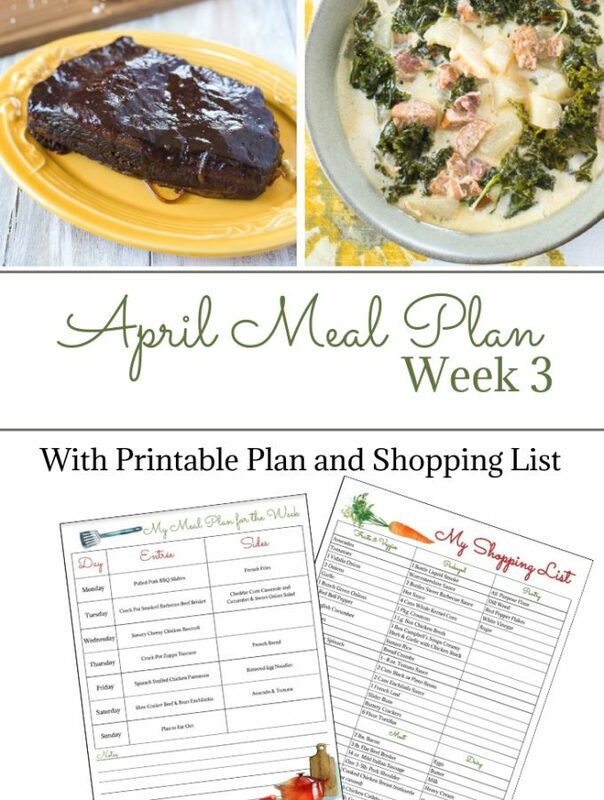 I have my mom’s recipe book, and it looks similar to that. Handwritten pages, sometimes only ingredients listed with no directions. Newspaper clippings attached with recipes. This cake sounds delicious and would feed a crowd. That’s so very cool that you collect vintage recipes! 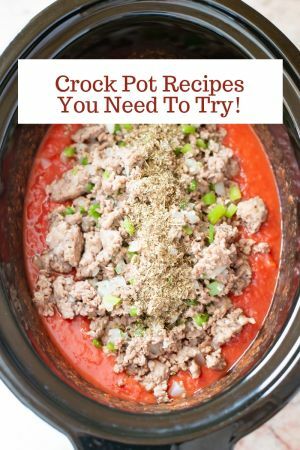 It reminds me of some of the books I’ve read where they put old family recipes as part of the story. Anyway, this looks so moist and delicious. I know my in lows would especially love it. I must make it for them. Yum!! This looks so delicious! The video made me so HUNGRY. I love that you collect vintage recipes. I think I’ll start that too! It would be wonderful to find a handwritten recipe. What a marvelous sounding and looking cake. The ingredients would certainly profess the cake a special cake. I bet the pineapple inside gives the cake lots of moisture and flavor. A keeper of a recipe. I love amything Pecans or pineapples and you have both in this recipe. Yum. Saving for later. That sounds like such a fun recipe. I love the Hawaiian wedding cake name! I will keep my eye out when I am looking through my vintage cookbooks for a sauteed apple pie recipe. Yes, I am sure it could be made into cupcakes. The baking time, of course, will be much shorter. I would bake cupcakes for about 15 minutes and then check them. 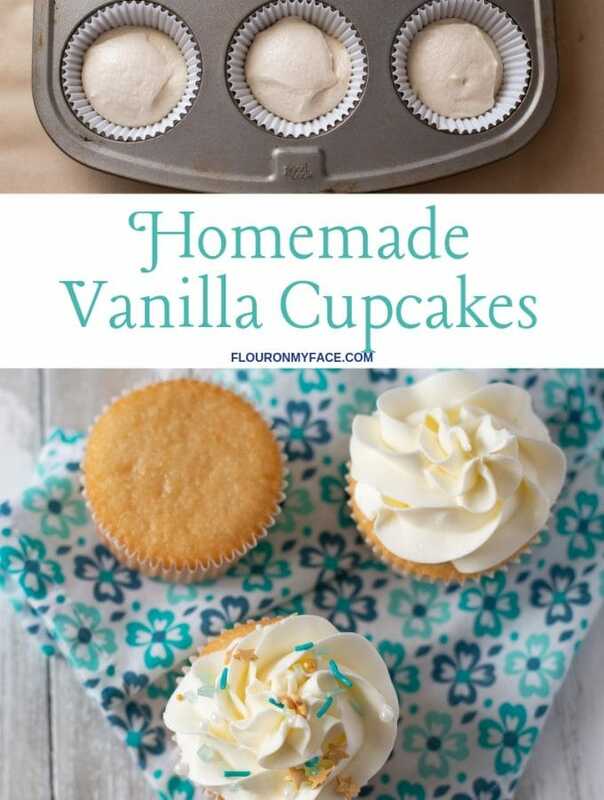 Depending on how hot your oven gets and what size cupcake pans you use the baking time could be 12 to 22 minutes.